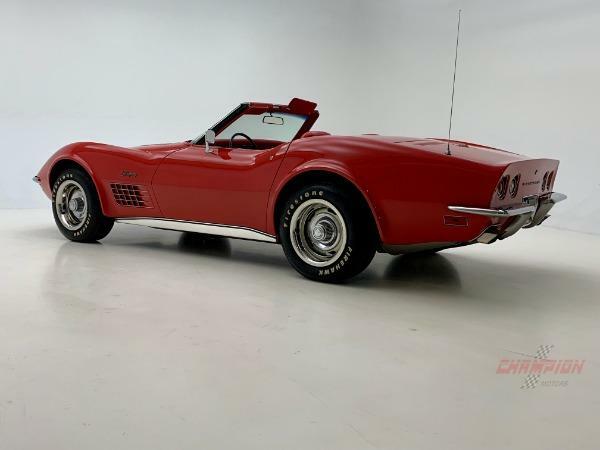 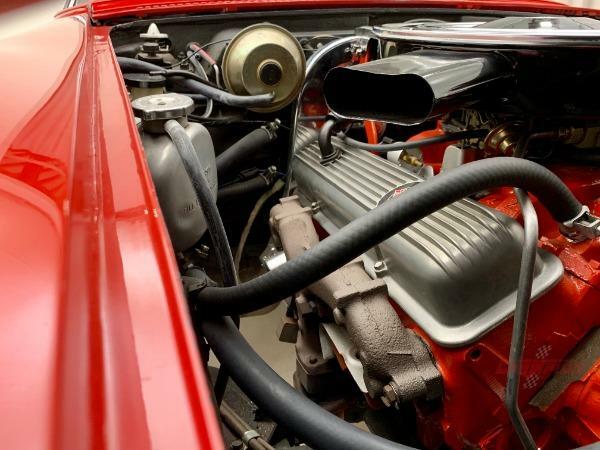 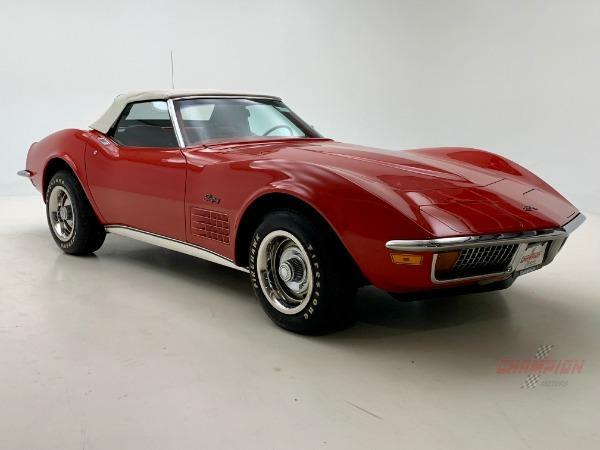 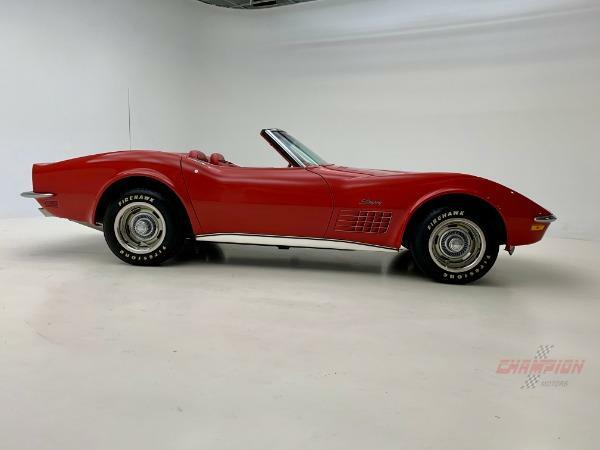 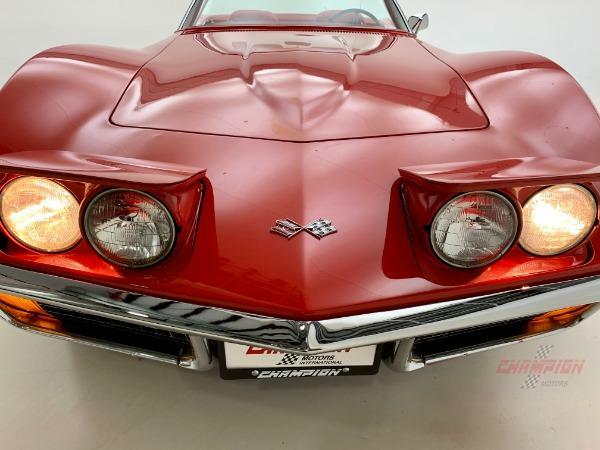 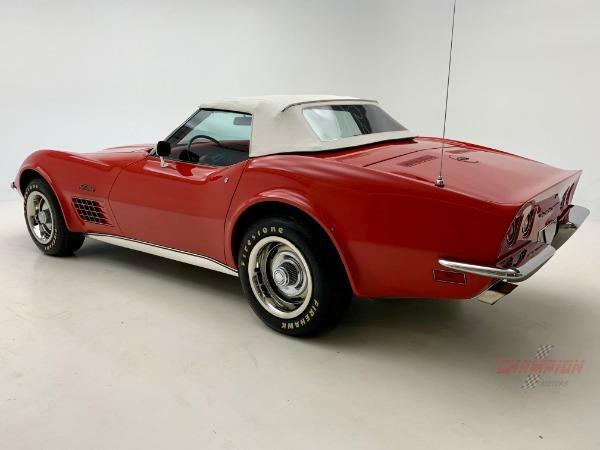 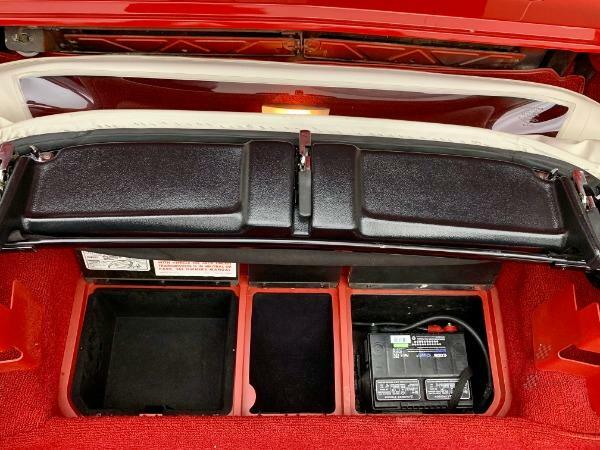 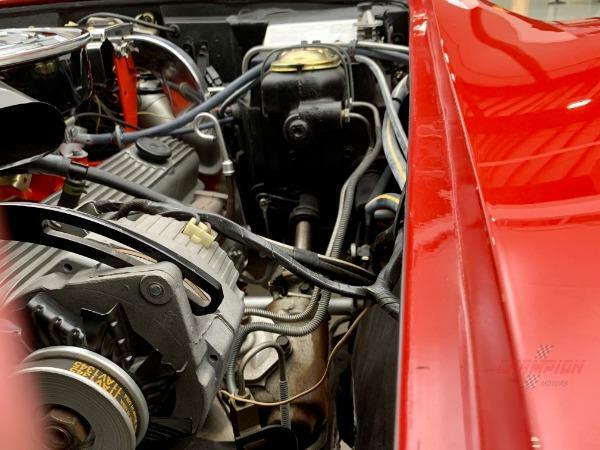 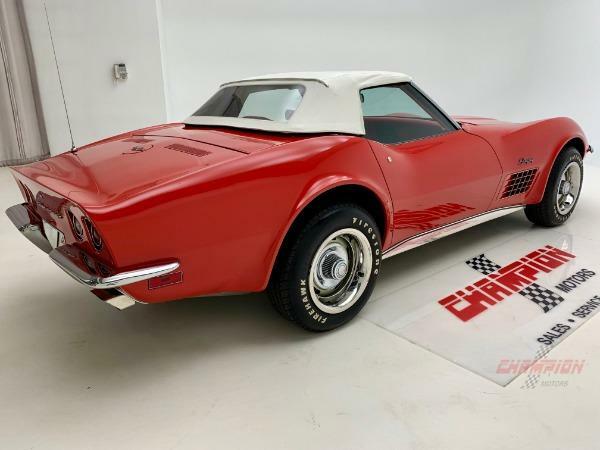 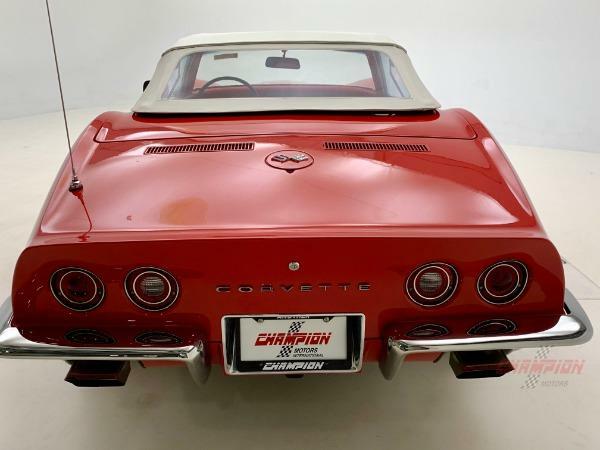 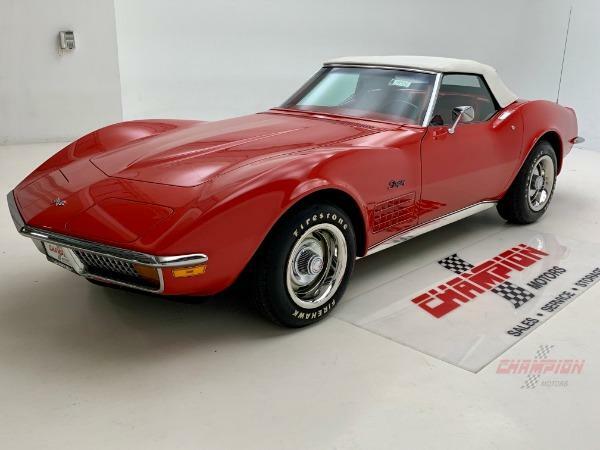 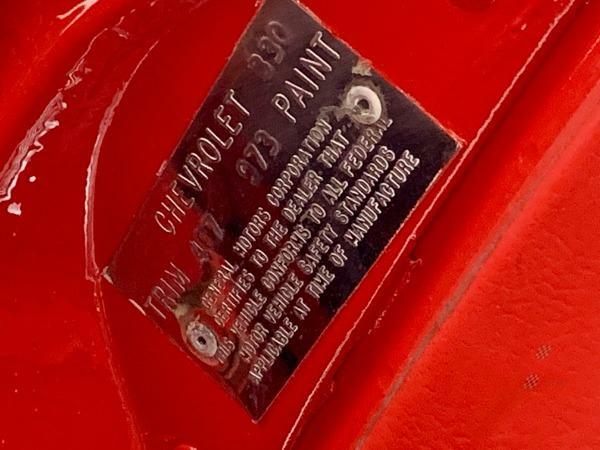 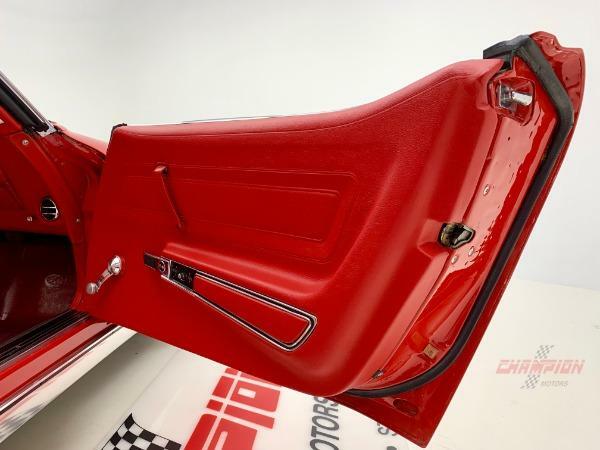 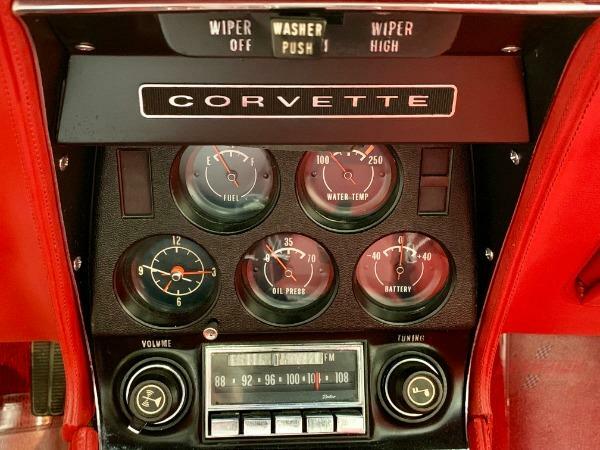 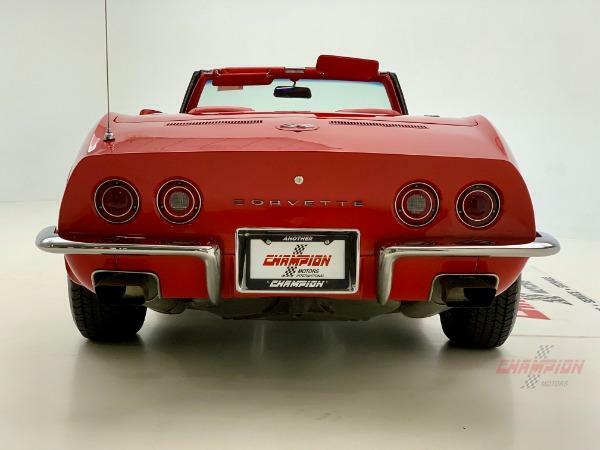 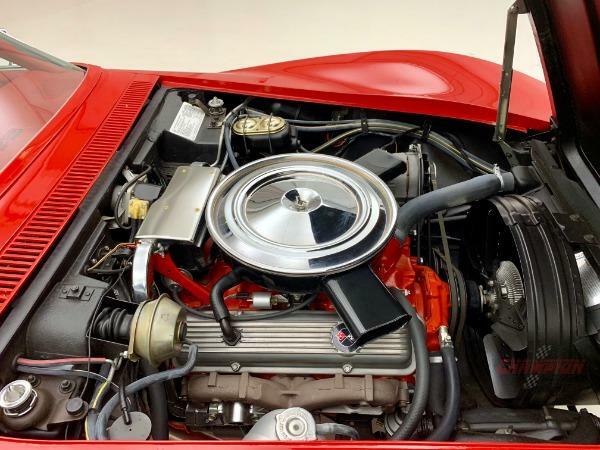 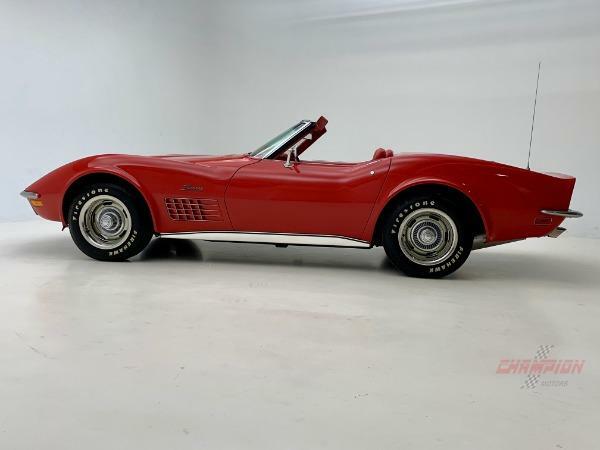 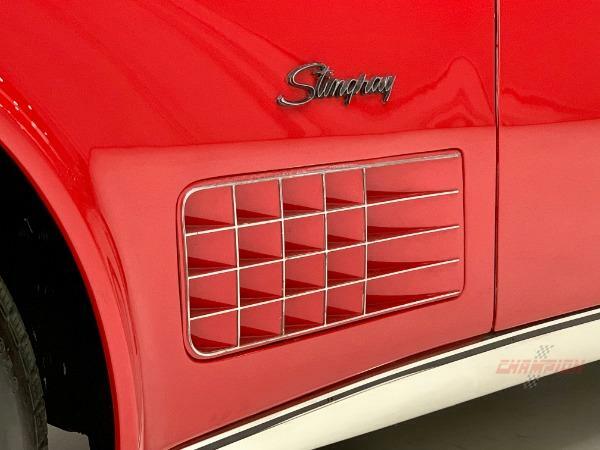 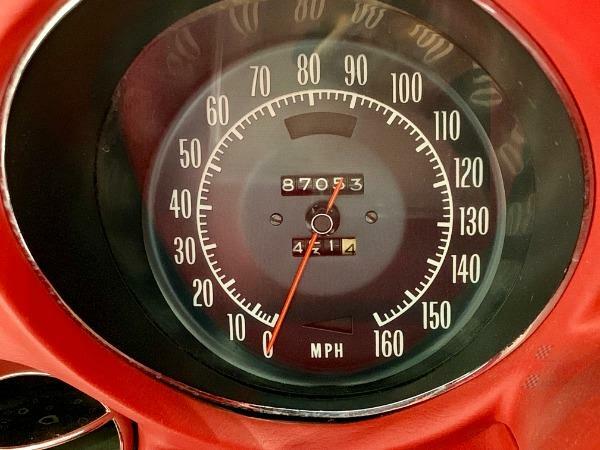 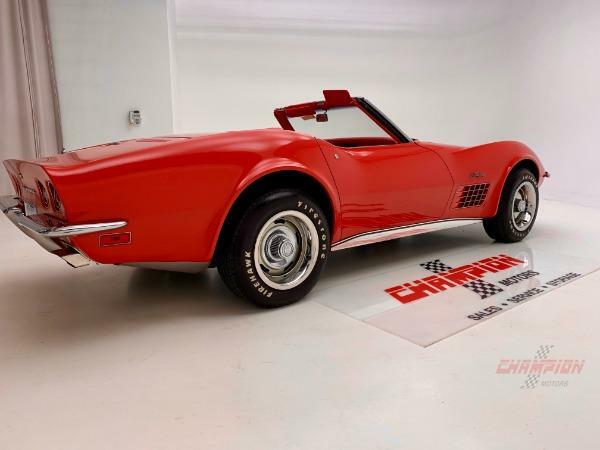 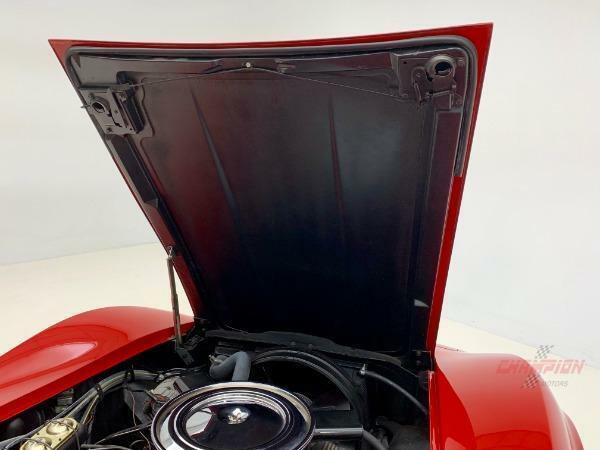 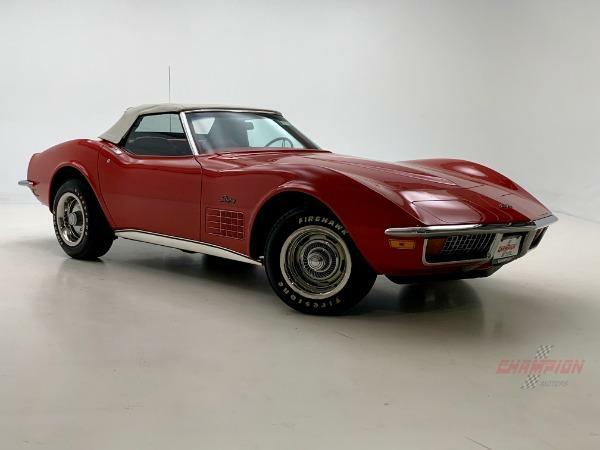 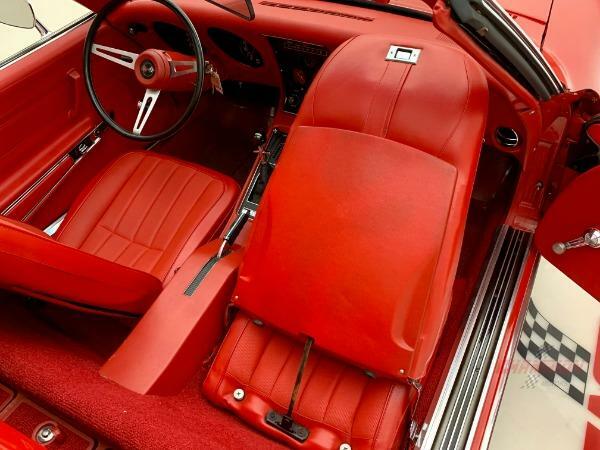 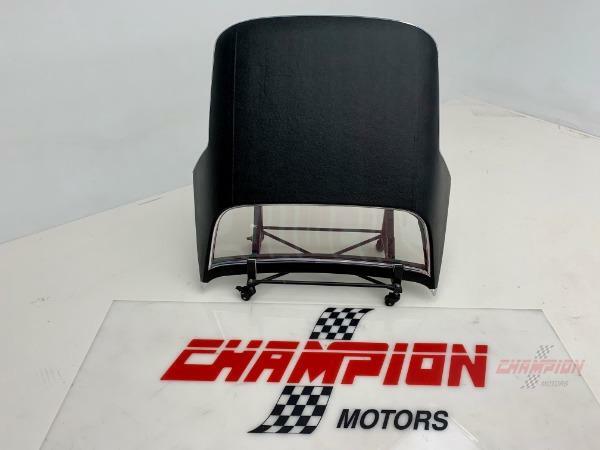 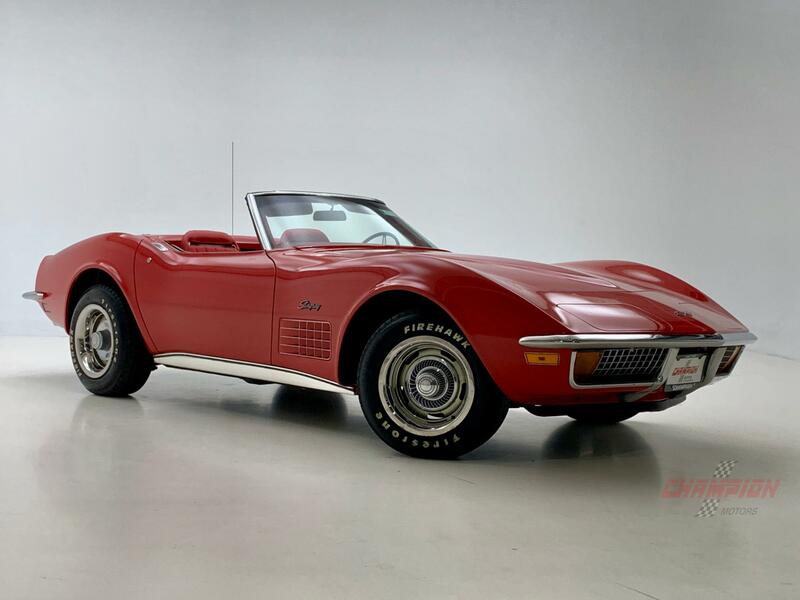 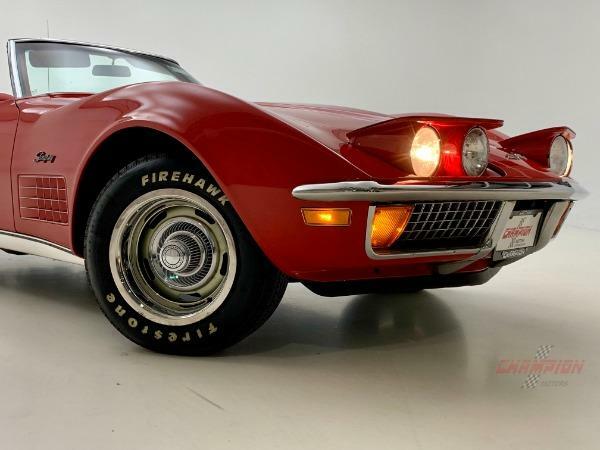 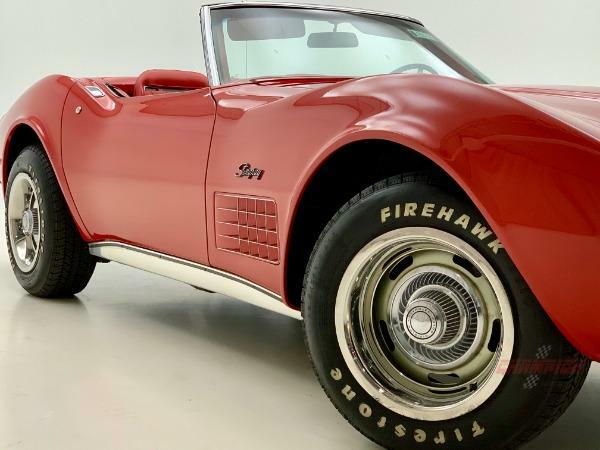 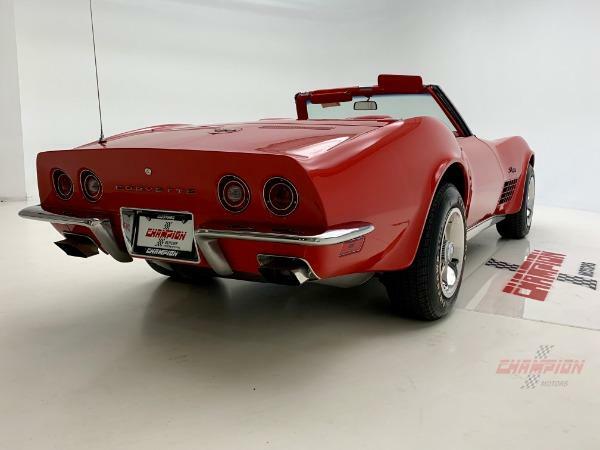 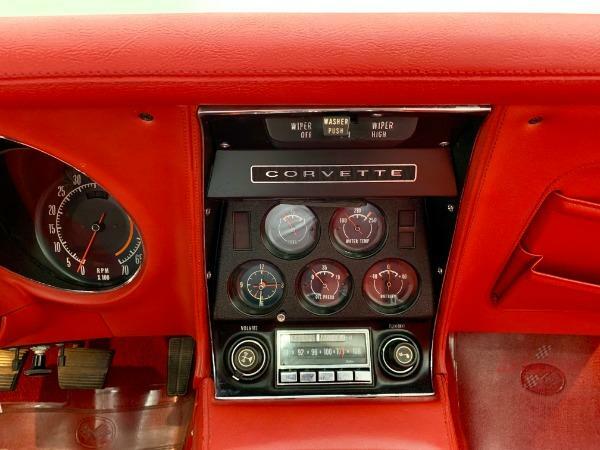 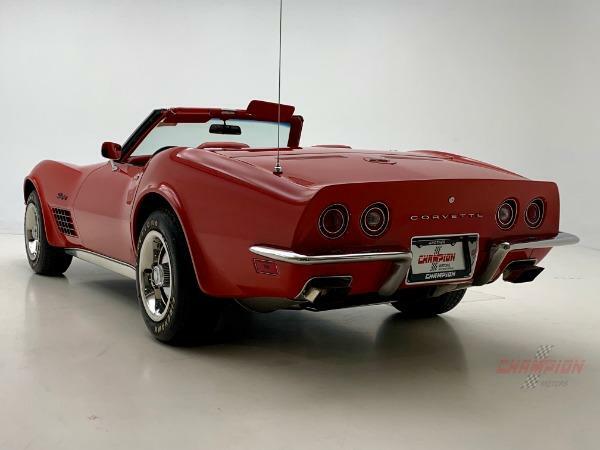 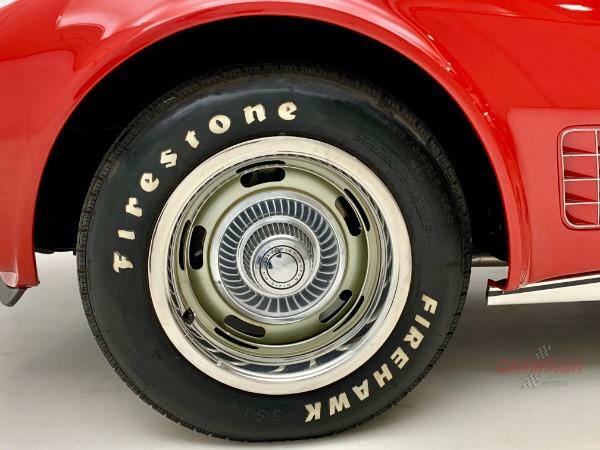 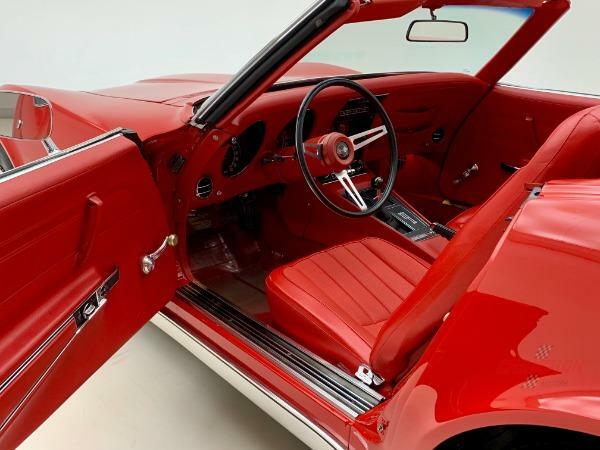 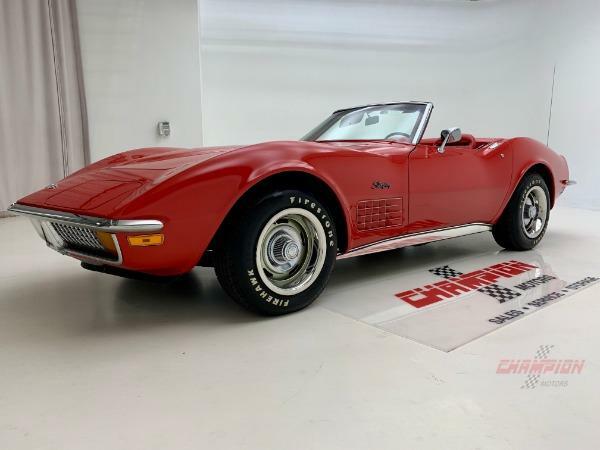 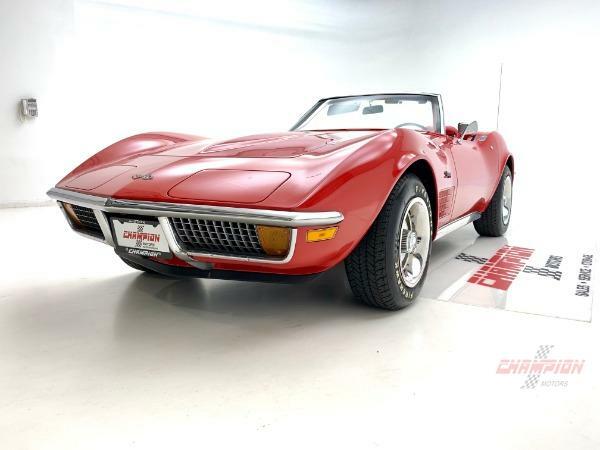 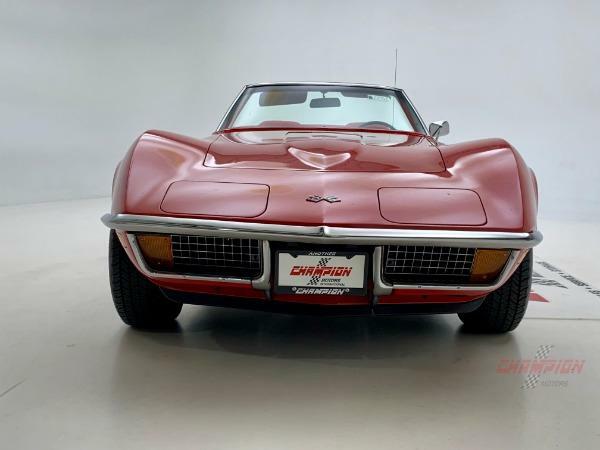 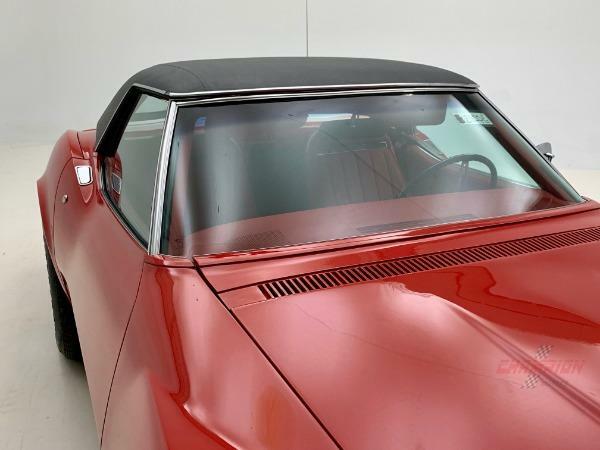 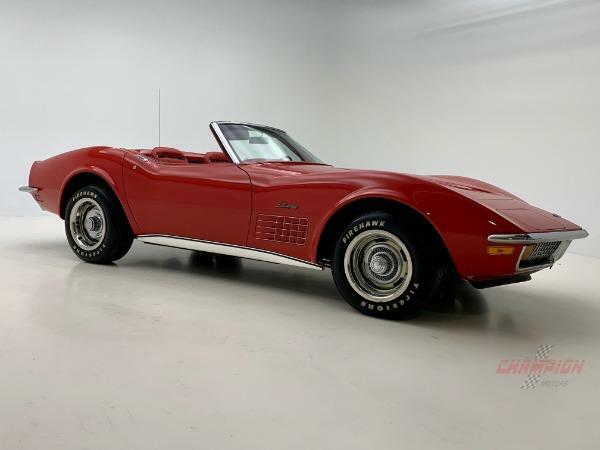 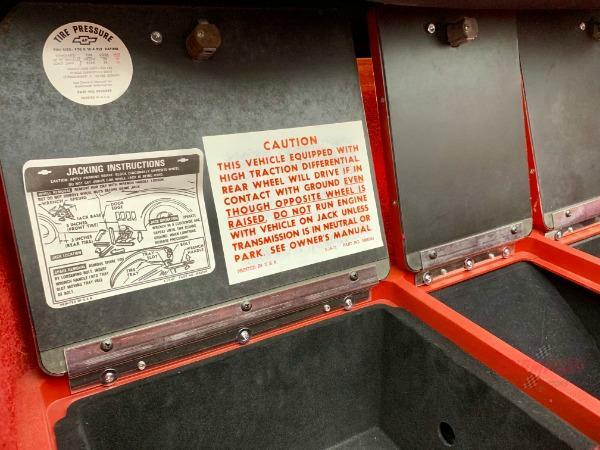 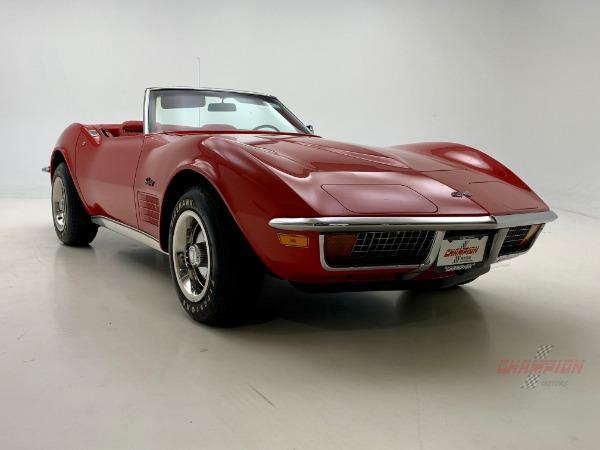 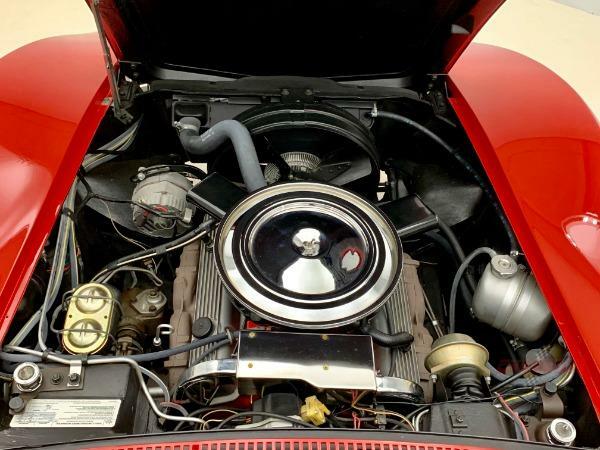 Champion Motors International is proud to offer this pristine 1972 Stingray convertible.Truly the last year of the muscle car, this 1972 example has a numbers matching motor and transmission. 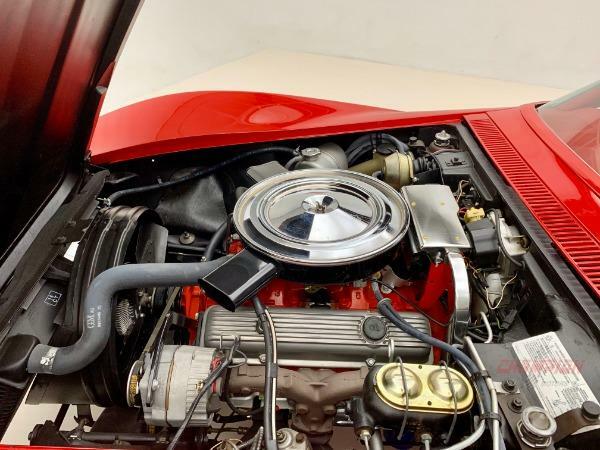 The small block runs strong and sounds great. 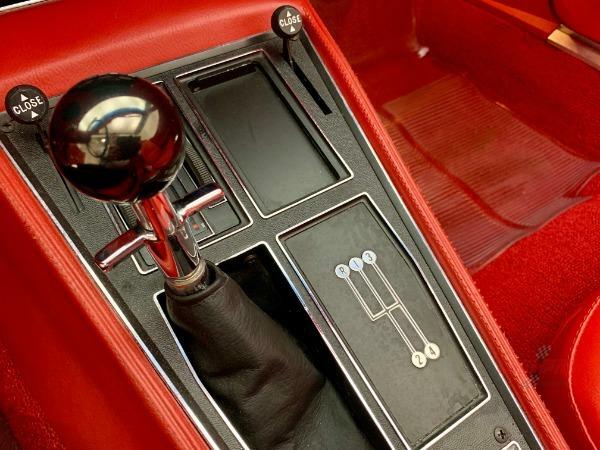 The 4 speed manual transmission shifts smoothly. 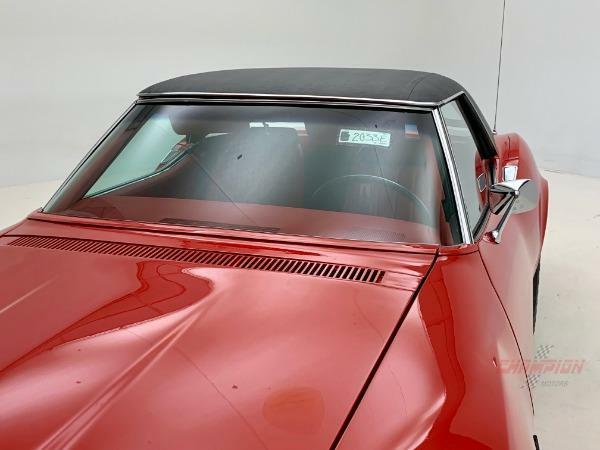 This is the last year for chrome bumpers and hidden wipers. 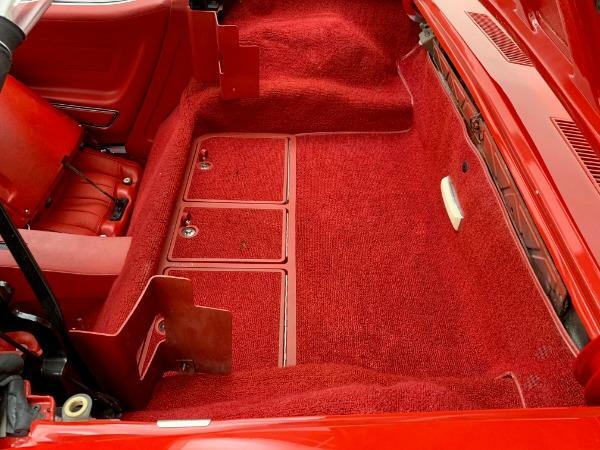 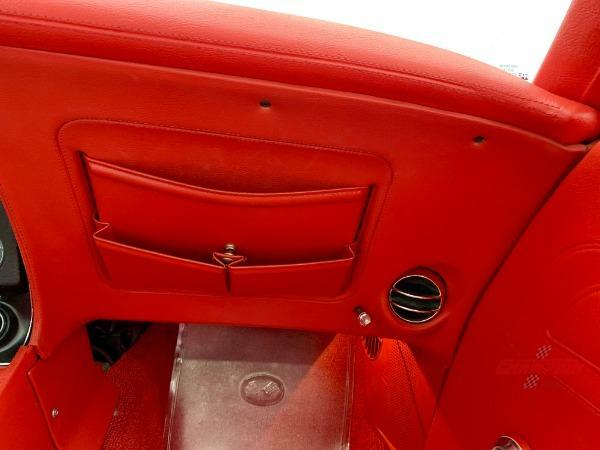 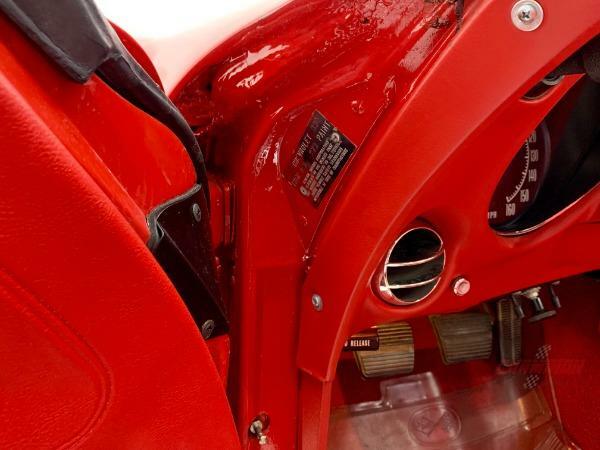 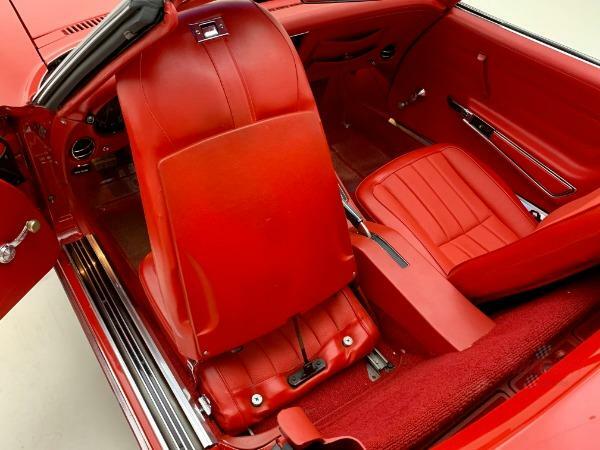 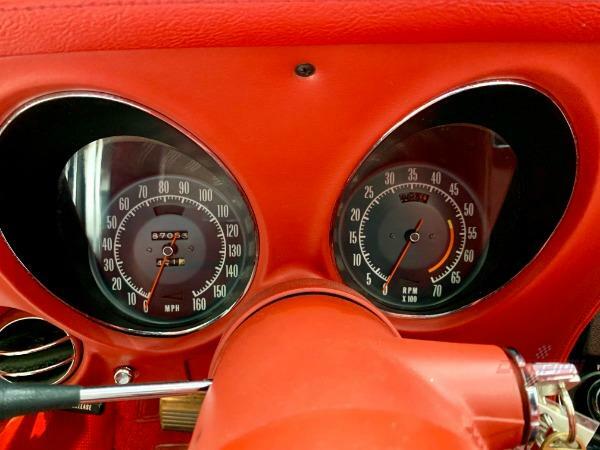 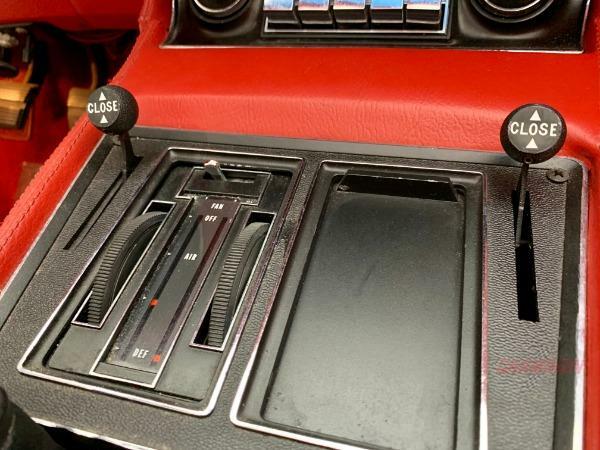 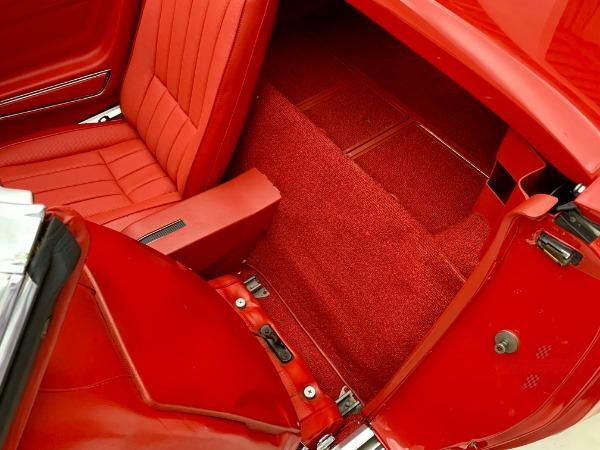 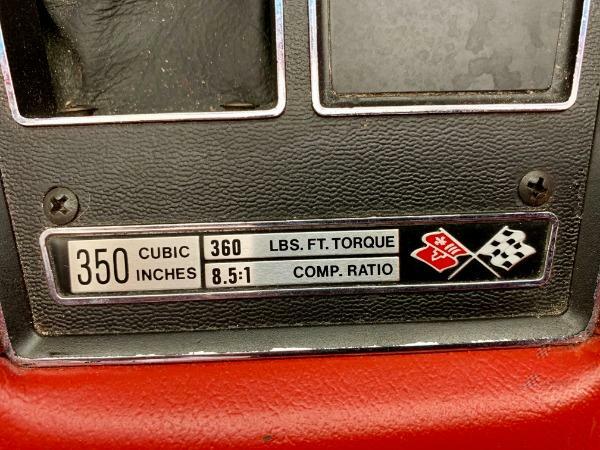 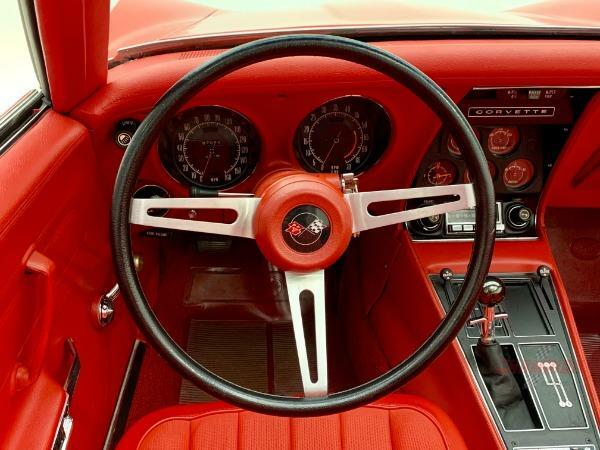 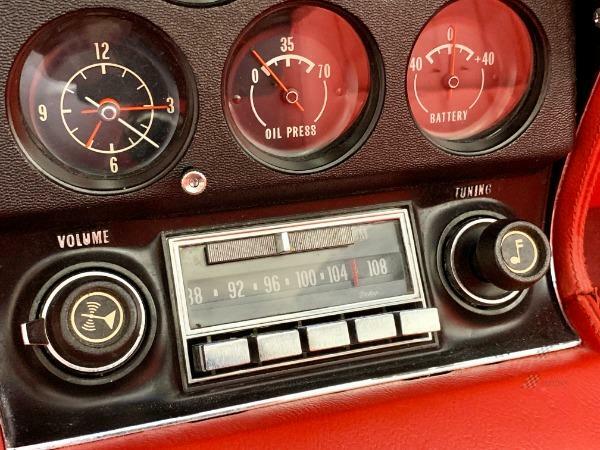 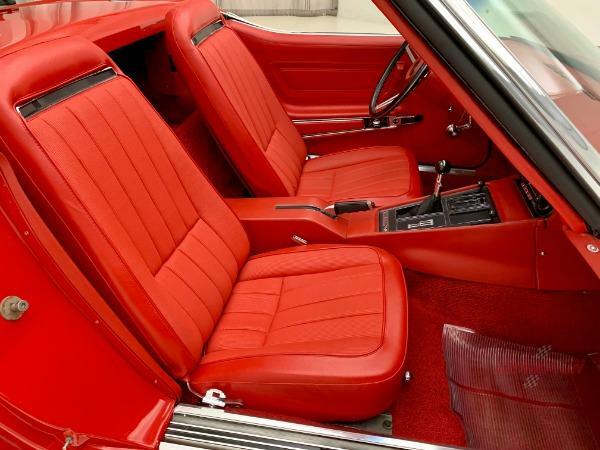 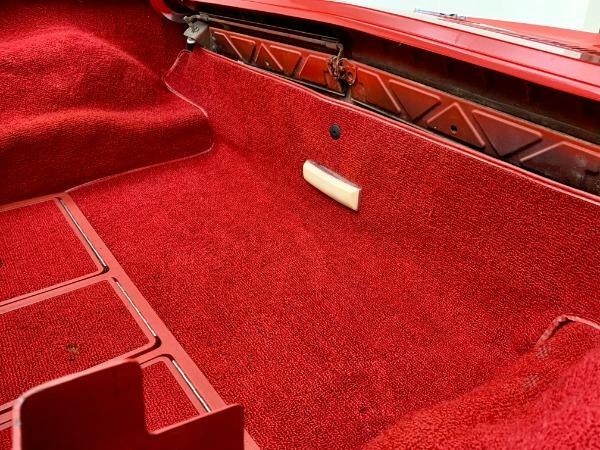 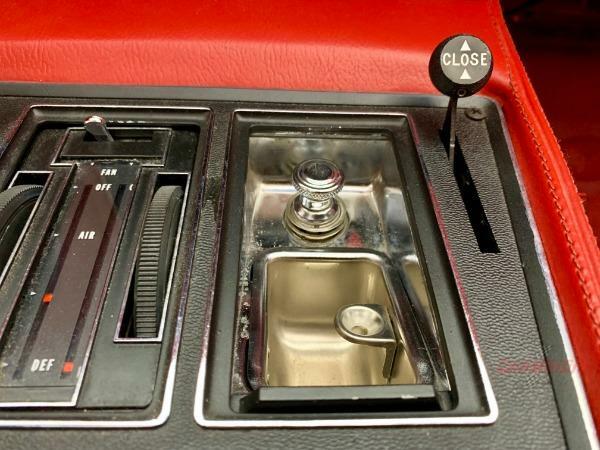 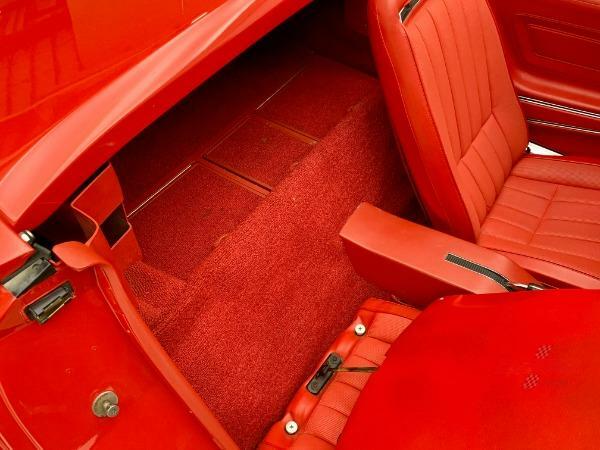 It has the original AM/FM radio, Rallye Wheels and a beautiful red interior and carpet. 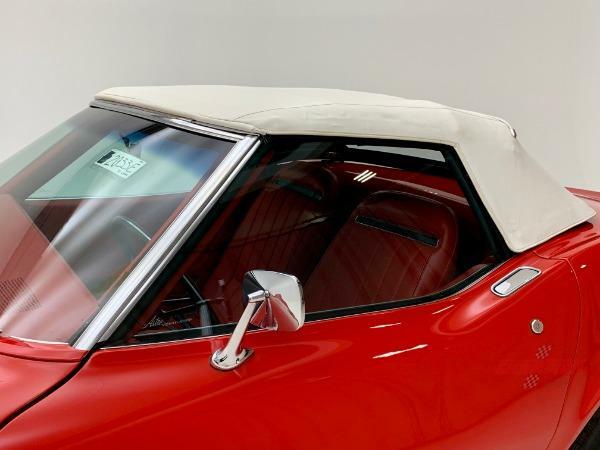 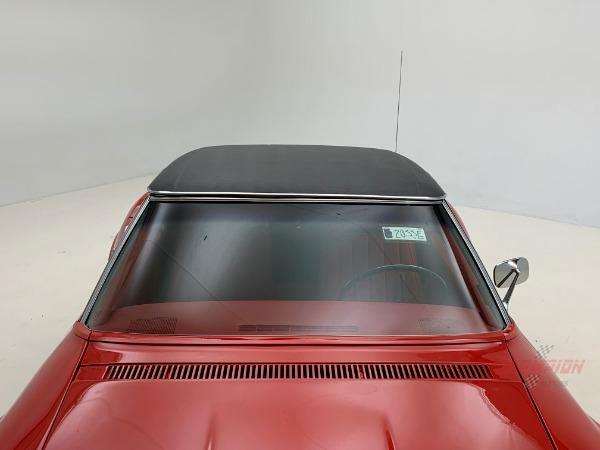 The white convertible top and black vinyl removable hardtop show no signs of wear. 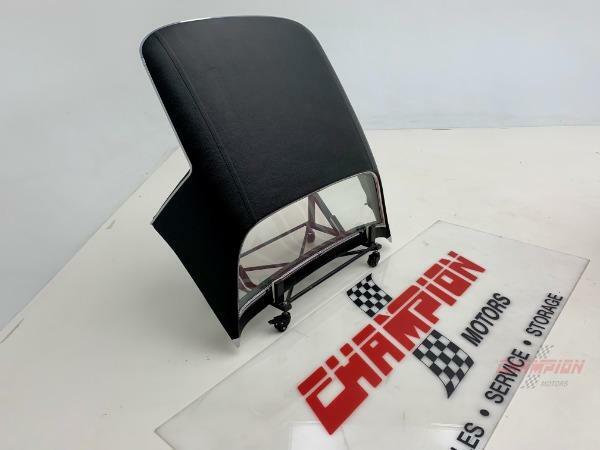 Please contact a member of our sales staff for more information 516 682-8000.